Do you think that you have the ugliest sweater? 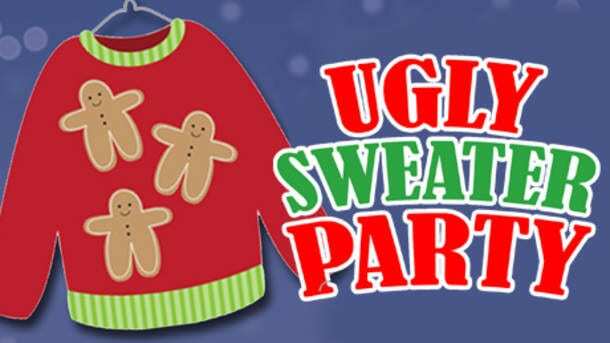 Join your friends and neighbors at the Tavern on Saturday, 12/15/2018 for our Ugly Sweater Party. The party will start at 6:00 PM and the winner will be announced at 7:15 PM. This event is going to be a lot of fun and one you will not want to miss! Not only is it going to be a lot of fun, but we will have some great prizes for the winners! Does your sweater have what it takes?